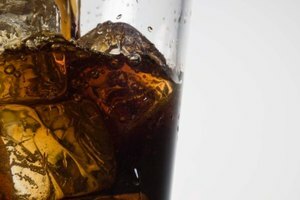 Is Alcohol in Vanilla Extract Harmful to a Toddler? Alcohol can be a dangerous additive substance and potentially lethal if a toddler gets hold of a product which contains alcohol. Vanilla in its purest form doesn’t contain alcohol. However, the process used to produce vanilla extract is called distillation and uses alcohol as a dissolving agent. Imitation vanilla extract also generally contains alcohol; it’s considered a flavor enhancer and preservative. Vanilla is part of the orchid family. Originally from South America and the Caribbean, it is now grown in many tropical locations. 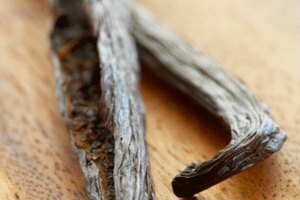 It takes up to three years to grow and the processes that have to take place once the vanilla pods are dry to produce vanilla extract make it an expensive commodity. 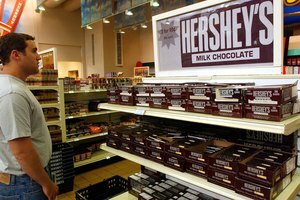 The U.S. is considered to be one of the highest consumers of vanilla, followed by France. The increasing price of vanilla has resulted in many people buying imitation vanilla extract. It is estimated that over 90 percent of vanilla extract used in food production is now imitation. 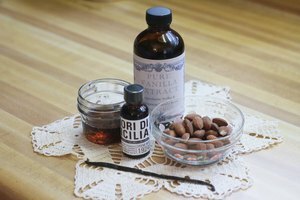 Imitation vanilla extract doesn’t contain any real vanilla and is made from clove oil or oil from certain conifer trees. To get it to the correct consistency and flavor, the vanilla extract needs many additives. One additive is alcohol. Real vanilla extract contains as much as 35 percent alcohol; imitation vanilla extract contains less. If a toddler was to consume a bottle of vanilla extract, it would undoubtedly be harmful. Everyone’s heard of vanilla ice cream, most of which contains imitation vanilla extract -- this is why the manufacturer has to say something like “vanilla flavor” on the label. If a product contains real vanilla, the manufacturer will make this clear, as it’s a great selling point. Vanilla is also an ingredient in hundreds of recipes, especially baked goods, such as cookies. If your recipe calls for a couple of tablespoons of vanilla extract, about a third of those will be alcohol. However, once you add the vanilla extract to the other ingredients in the recipe, its gets considerably diluted. During cooking or baking, the alcohol evaporates, leaving behind the vanilla flavor. If you were able to measure the percentage of alcohol in a cookie, for example, once cooked, it would likely to be zero. It’s therefore reasonable to conclude that using vanilla extract in a recipe is not harmful to a toddler as any alcohol burns off.